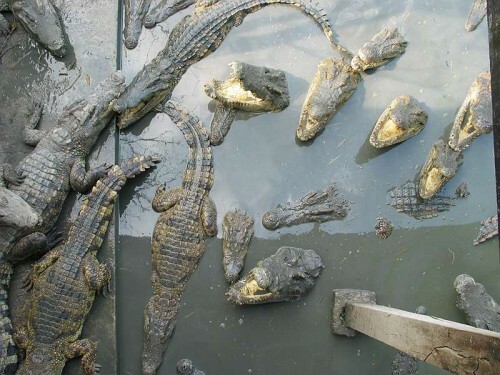 Why Samut Prakarn Crocodile Farm is special ? You will have a chance to visit a farm inhabited by 60,000 crocodiles, including the largest known Siamese crocodile, named Yai! 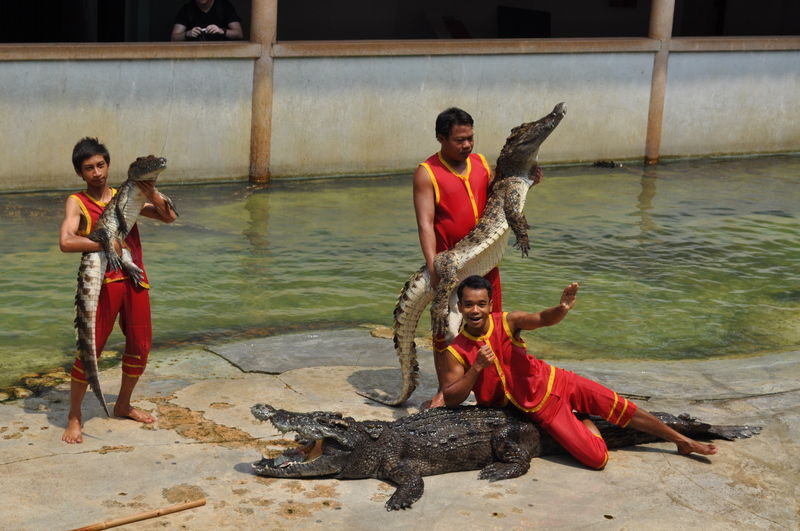 What to explore at Samut Prakarn Crocodile Farm? How to get to Samut Prakarn Crocodile Farm? By bus: From Bangkok, you can take the Skytrain to the end of the line at BTS Bearing. From here it will cost about 110 Baht in a taxi. Bus Nos. 7, 8, and 511 from Bangkok terminate at a station next to the crocodile farm. The farm is well maintained and the team is very welcoming. You can try crocodile meat but restaurant does not look good. A friend brought us here. First impression, it was a rather normal, old, zoo. Crocodile and elephant shows are nice to have but nothing out of the ordinary. There were lions, cheetahs, hippos, and other animals but what's different here is that you get really close encounters with the large cats, there are just a fence apart from you. Place your hands near to the fence for a speedy amputation!Jokes aside, what made the trip really special was the chance to take close photographs with the crocodiles and elephants after their shows for 200THB. What you get for that money is a shot by an SLR, and a nicely printed photograph for keepsake after that.The highlight of the entire zoo must be the chance to get close and personal with the two tigers, one adult and one kid! The adult tiger was chained and we get to touch its furs while having our photographs shot with it! OMG I was beaming from mouth to mouth!The baby tiger is locked in a cage, along with other adorable monkeys (locked in separate cages, of course) and when it's time for photographs, we get to hug baby tiger and feed it milk from a milk bottle!I can't describe the immense joy I got from these activities. All for 200THB each, you get some personal time with animals that are normally not within reach. I reckon that is absolute value for money!As you can see, I spent quite a fair bit at this place just on photographs and I'm sure this will be as enjoyable for anybody. Unless you've been to Africa, I think this will be the most accessible and not to mention the cheapest place to touch and feel a real tiger in your arms.I will absolutely love to be there when my daughter grows older, and I'm sure we will enjoy ourselves again! One of those places where locals pay less than foreigners. we were supposed to pay around 80 Baht but the person at the counter noticed my kid speaking a different language. we paid 300 for adults and 200 for minors instead. Inside you see a wide variety of animals, some in very very poor condition. We had the opportunity to see the croc show and the elephant show, both of them cruel.The Good: A nice variety of animalsThe Bad: Some animals in poor condition. Some animals in the show were not handled properly. The young men in the show risk their lives with giant crocs, putting their heads in their mouths and hands down their throats.I even got a picture later of me standing behind and resting on their 14 foot giant croc. One of my favorites. A friend brought us here. First impression, it was a rather normal, old, zoo. 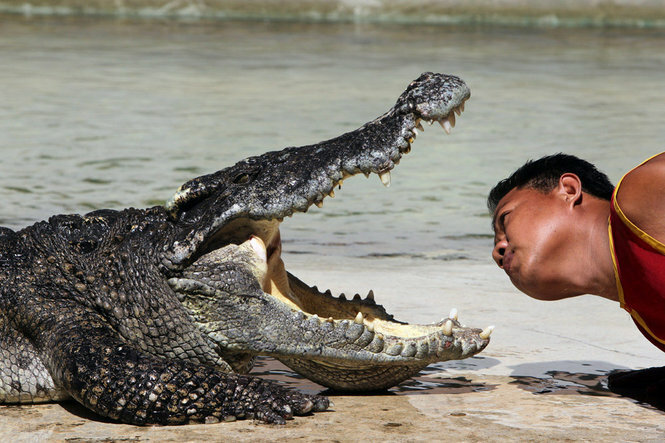 Crocodile and elephant shows are nice to have but nothing out of the ordinary. There were lions, cheetahs, hippos, and other animals but what's different here is that you get really close encounters with the large cats, there are just a fence apart from you. Place your hands near to the fence for a speedy amputation! Jokes aside, what made the trip really special was the chance to take close photographs with the crocodiles and elephants after their shows for 200THB. What you get for that money is a shot by an SLR, and a nicely printed photograph for keepsake after that. The highlight of the entire zoo must be the chance to get close and personal with the two tigers, one adult and one kid! The adult tiger was chained and we get to touch its furs while having our photographs shot with it! OMG I was beaming from mouth to mouth! The baby tiger is locked in a cage, along with other adorable monkeys (locked in separate cages, of course) and when it's time for photographs, we get to hug baby tiger and feed it milk from a milk bottle! I can't describe the immense joy I got from these activities. All for 200THB each, you get some personal time with animals that are normally not within reach. I reckon that is absolute value for money! As you can see, I spent quite a fair bit at this place just on photographs and I'm sure this will be as enjoyable for anybody. Unless you've been to Africa, I think this will be the most accessible and not to mention the cheapest place to touch and feel a real tiger in your arms. I will absolutely love to be there when my daughter grows older, and I'm sure we will enjoy ourselves again!